Receive 15% OFF Second Pair of Complete Glasses! Call us at (316) 283-1310 today. Welcome to Drs. 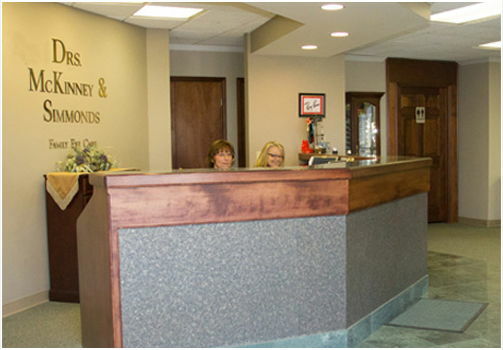 McKinney & Simmonds Optometrists, LLC in Newton. The Drs. 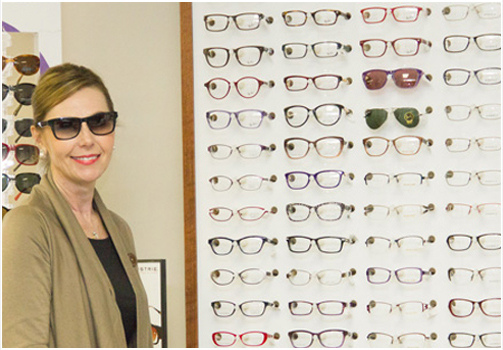 McKinney & Simmonds Optometrists, LLC team strives to provide the best in optometry services. We invite you to browse our website to learn more about our optometry services and join our patient family by scheduling an eye exam appointment at our Newton office. Drs. 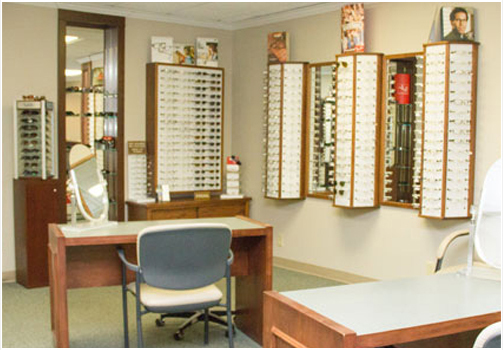 McKinney & Simmonds Optometrists, LLC is a full service eye and vision care provider, accepting both eye emergencies as well as scheduled appointments. Patients throughout the Newton area come to Drs. McKinney & Simmonds Optometrists, LLC because they know they will receive the personal attention and professional care that is our foundation. Our team of doctors is dedicated to keeping our patients comfortable and well-informed at all times. At Drs. McKinney & Simmonds Optometrists, LLC, we will explain every exam and procedure and answer all of our patients' questions. Additionally, at Drs. McKinney & Simmonds Optometrists, LLC, we offer vision financing options and will work with vision insurance providers to ensure good eye health and vision care for all of our patients. Our one-on-one approach to optometry makes the Drs. McKinney & Simmonds Optometrists, LLC staff the eye and vision care providers of choice in the Newton area. Our Newton optometrists offer the following services: complete eye exams, contact lenses, glasses, glaucoma testing, diabetic exams, pre- and post-operative care and much more. For a complete list of services, visit our services page or call our Newton office at (316) 283-1310. At Drs. McKinney & Simmonds Optometrists, LLC, we are dedicated to providing high-quality optometry services in a comfortable environment.Call us at (316) 283-1310 or schedule an appointment online today. Dr. McKinney was born and raised in the Wichita area. He graduated from Southwestern College and then attended University of Houston College of Optometry. While there, he received awards and graduated with honors. Dr. McKinney was a member of the academic honor societies, Beta Sigma Kappa and Phi Kappa Phi. Over the years in Newton, he has participated in several local organizations. Dr. McKinney is a current member of the Kansas Optometric Association and American Optometric Association. Dr. McKinney and his wife, Chrystal, cherish time with their family. They raised two children in Newton and now enjoy their four grandchildren. Faith has been an essential part of their lives, and they greatly appreciate their church family. Dr. Ryan Simmonds joined the practice in 2000 after graduating from Southern California College of Optometry. Having lived in Newton all of his life, Ryan was eager to return to his hometown. He lives on a small farm just outside of Newton. Over the years, Dr. Ryan has been active in the community, serving on the Board of the Kauffman Museum, Newton Mid-Kansas Symphony and active in the Walton PTO. When not in office, Dr. Ryan enjoys spending time with his two sons, camping, traveling and guitar playing. Dr. Louia was born and raised in Rose Hill, KS. She graduated from Kansas State University with a degree in Life Sciences and received her Optometry degree from Southern College of Optometry in Memphis, TN. While in graduate school, Dr. Louia was a member of Beta Sigma Kappa honor society, won the Outstanding Clinician Award in 2018 and graduated with honors. She is an active member of the Newton Lions Club, Bible Study Fellowship, Kansas Optometric Association and the American Optometric Association. In her free time, she enjoys camping, hiking and playing softball. Dr. Louia, her husband and two dogs reside in Park City, KS.